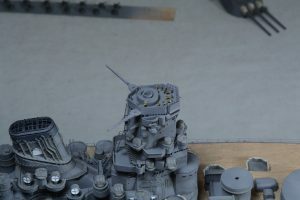 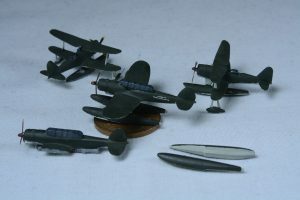 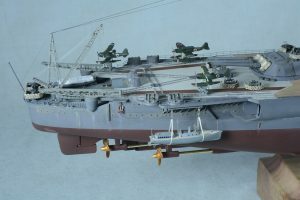 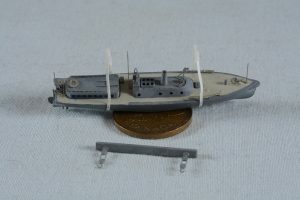 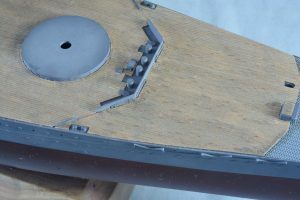 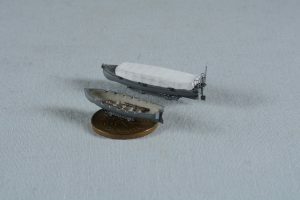 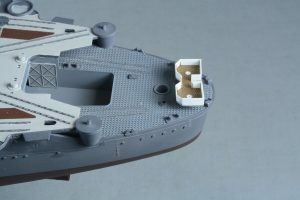 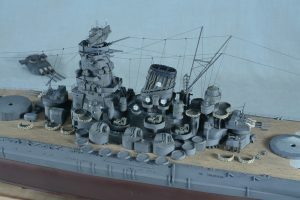 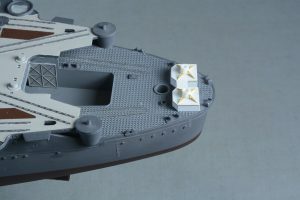 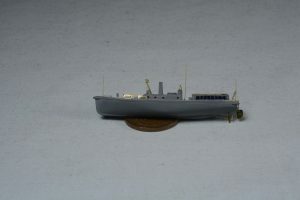 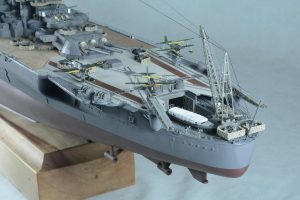 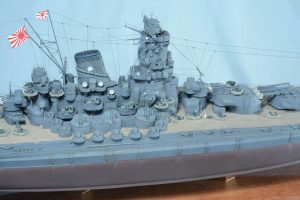 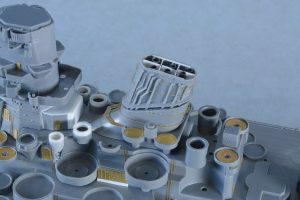 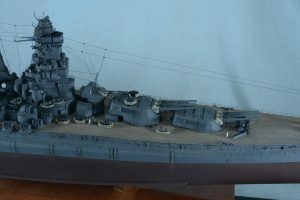 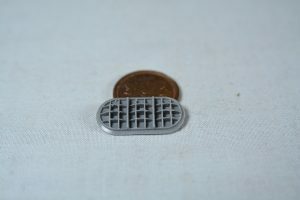 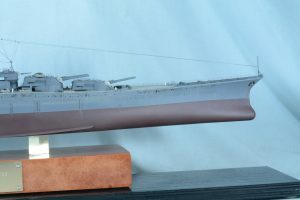 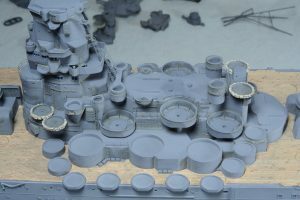 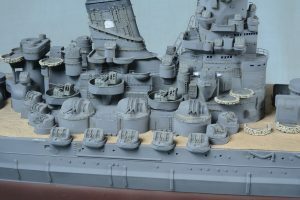 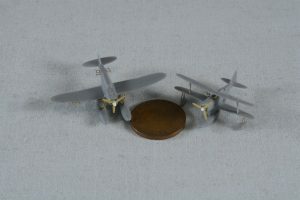 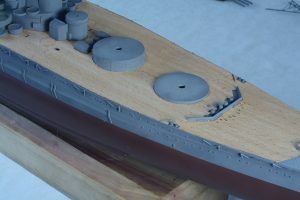 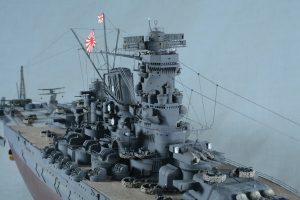 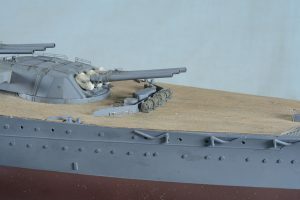 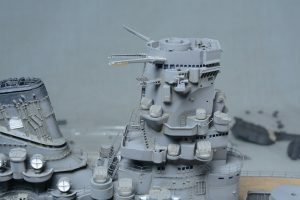 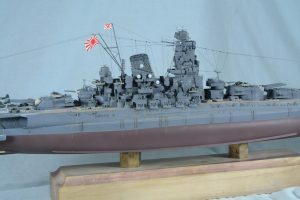 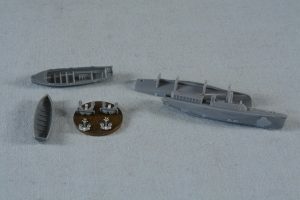 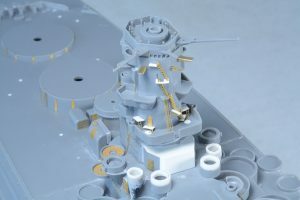 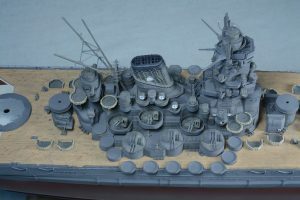 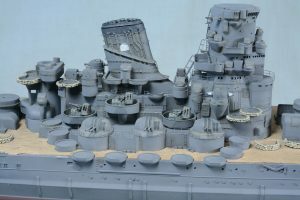 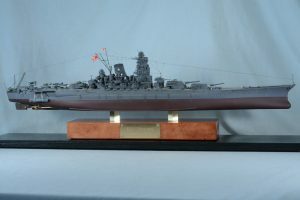 Dave DeBack, Canada Model Ship - IJN Yamato in 1/350 scale - Model Motorcars, Ltd.
A brief history of the build from Dave Deback. 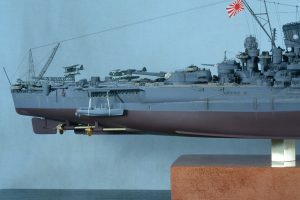 Yamato was one of my first ship kit purchases, it's the old version by Tamiya released in the early 80's? 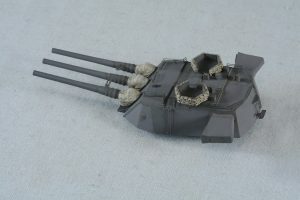 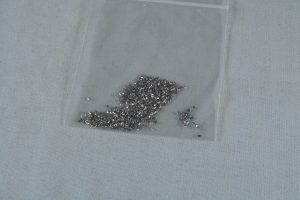 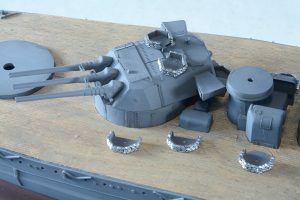 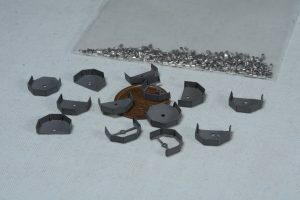 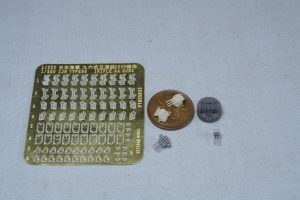 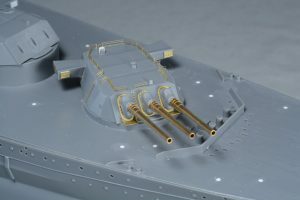 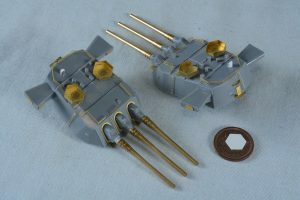 I paid $77CDN for mine and bought a LionRoar gun detail set (out of production now) and WEM p/e set for Yamato/Mushashi and then once I started the project I bought Eduard's 2 sheet p/e set for the new Tamiya version of Yamato. 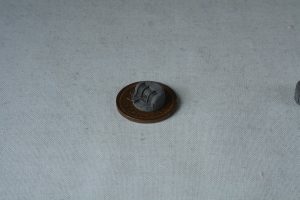 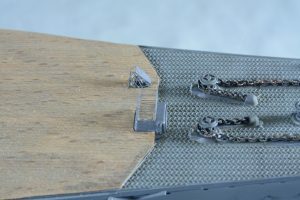 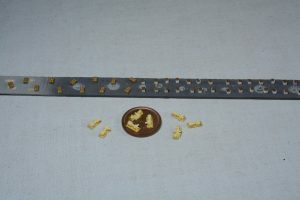 I had bought Shinsengumi's wood deck also. 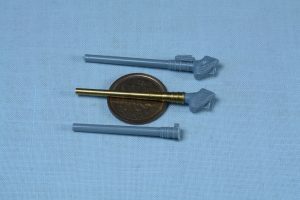 I find they are a mixed bag. 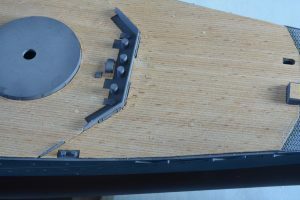 No glue on the deck means it's easy to dry fit and trim openings slightly so it drops down nicely over the lumps and bumps on the deck. 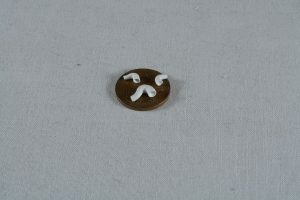 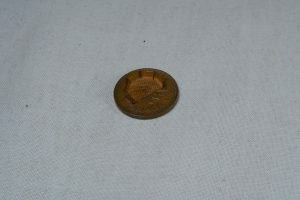 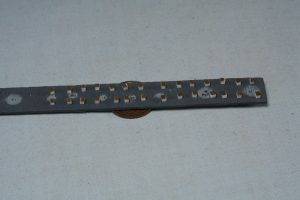 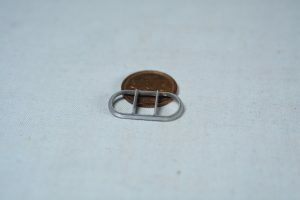 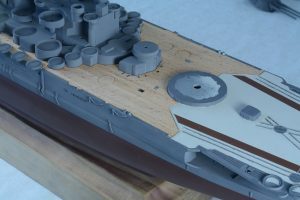 The down side is how to glue it to the deck. 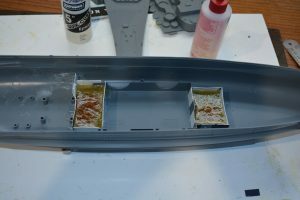 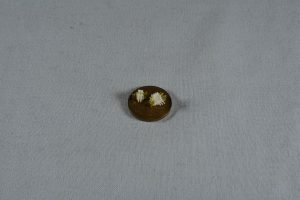 I ended up brushing wood glue onto the bottom of the wood (which instantly gave me a wood cigar tube!!) 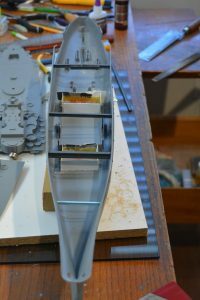 and then fastened to the kit plastic. 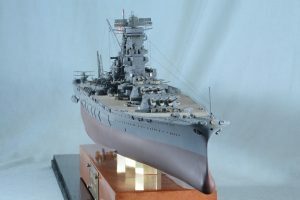 While looking for a good review on the new kit I found a build by Dave Twin online and followed that as it was a good way to incorporate changes from the new kit onto my older version where possible. 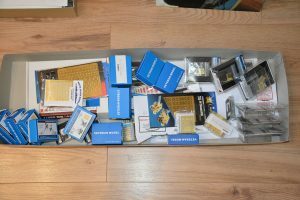 Also all my references where outdated also, just wasn't prepared to spend upwards of $600US for everything needed considering I had everything already. 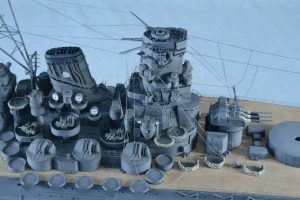 The more I got into the project the more confusing it became for me, with every illustration being different from the previous one. 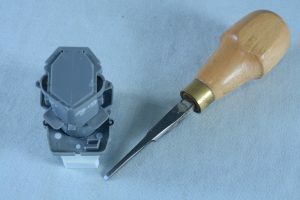 In the end I went with what I could change or modify easily. 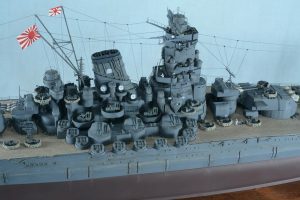 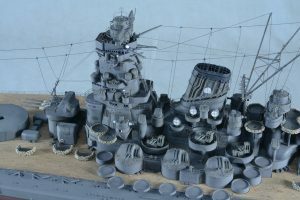 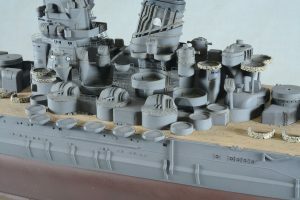 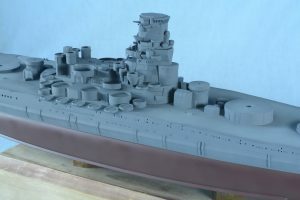 Considering Yamato blew up when sinking and is in many, many pieces on the ocean floor I feel confident she's representative, not necessarily museum quality! 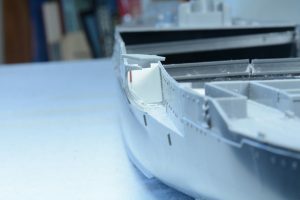 My love of doing ships is quite simple. 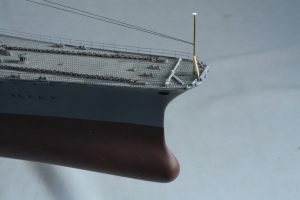 From the deck down they're all pretty much the same. 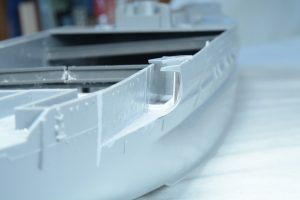 One hull is similar to the next, but from the deck up nothing but details! 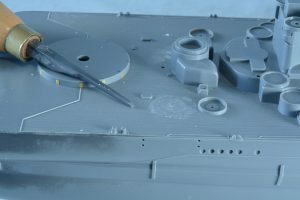 The joy is in the build!! 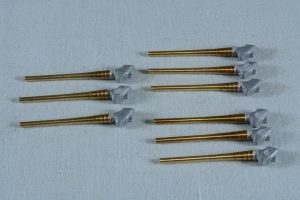 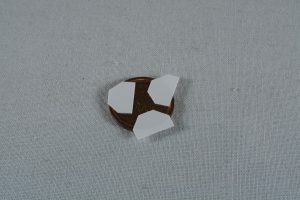 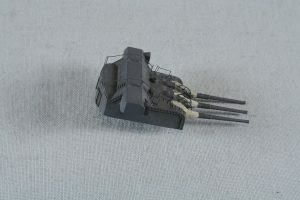 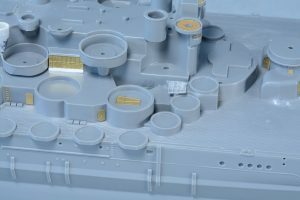 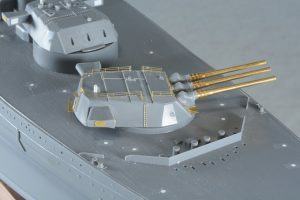 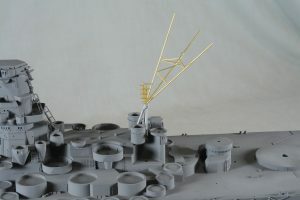 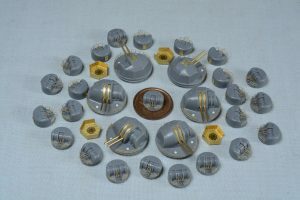 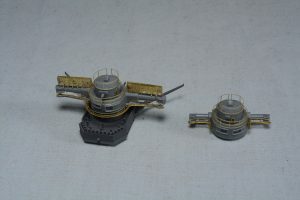 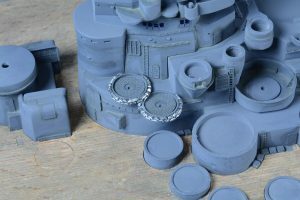 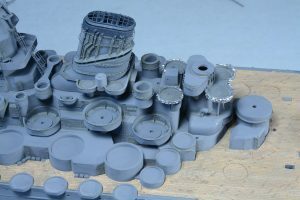 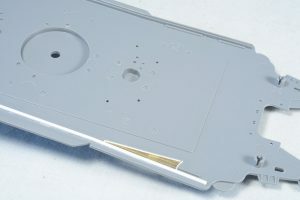 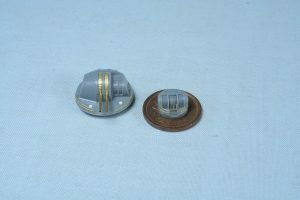 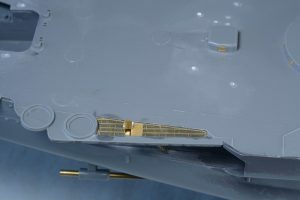 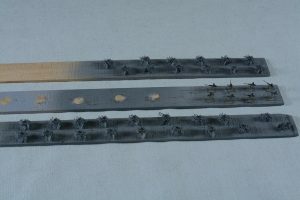 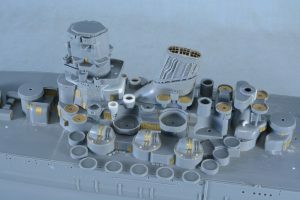 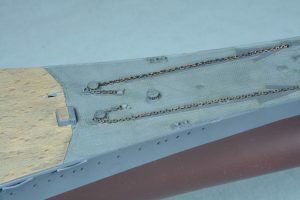 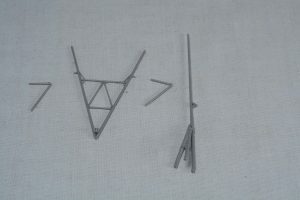 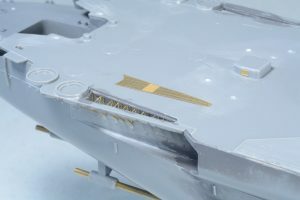 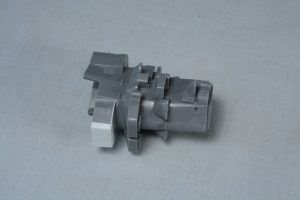 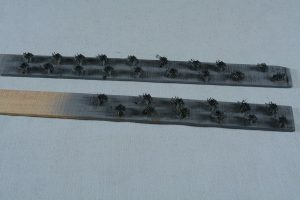 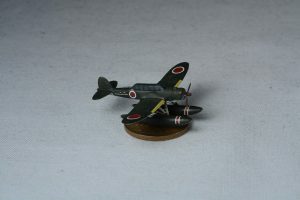 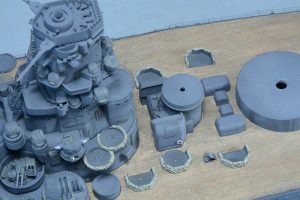 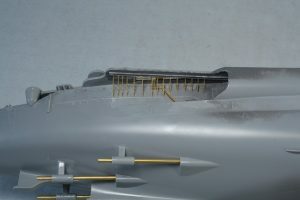 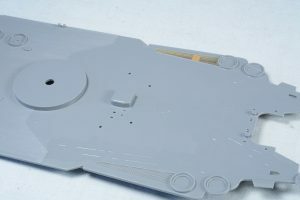 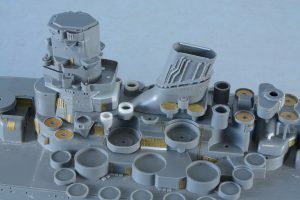 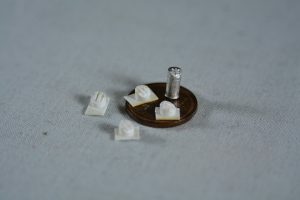 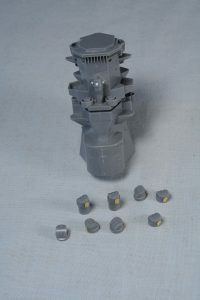 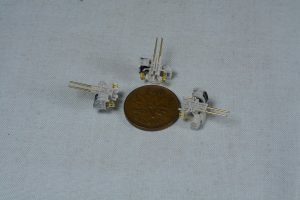 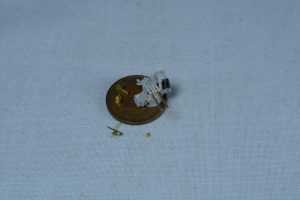 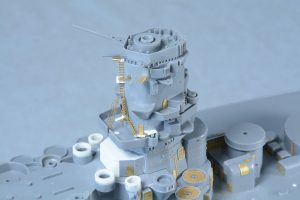 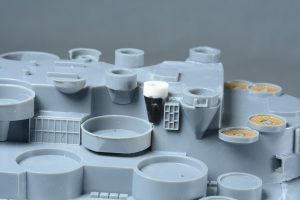 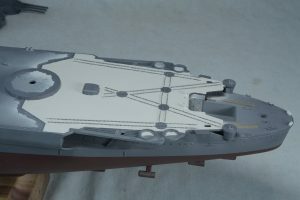 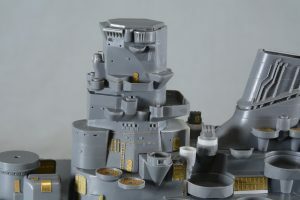 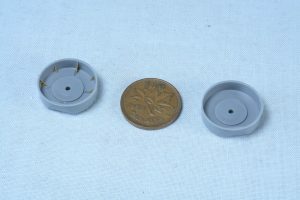 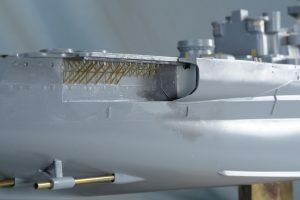 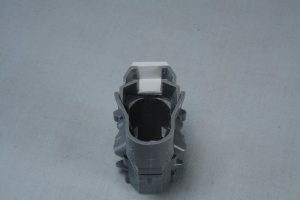 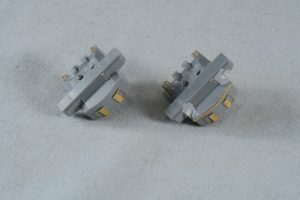 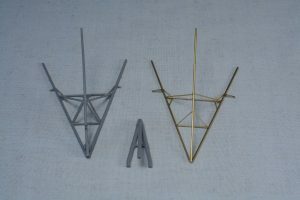 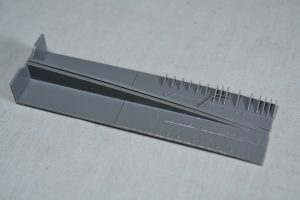 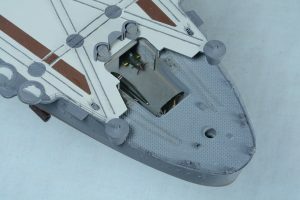 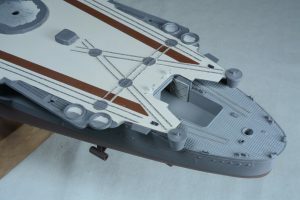 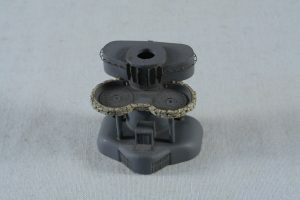 Yamato's fire control system was updated and required some scratch building, fortunately easy shapes to duplicate. 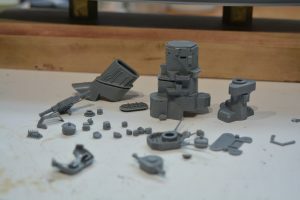 My spares box got a good workout from this build. 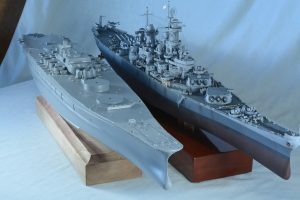 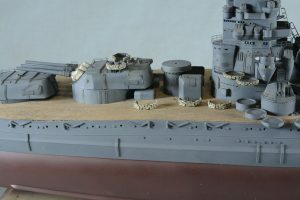 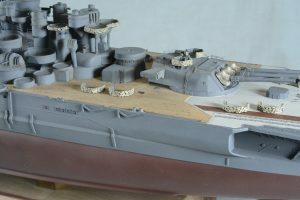 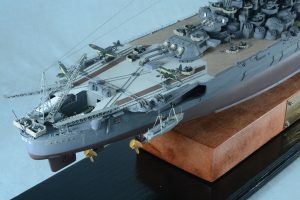 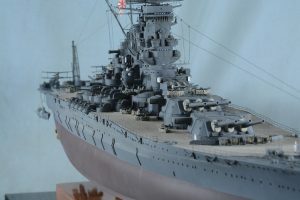 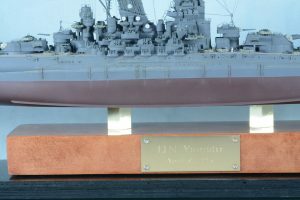 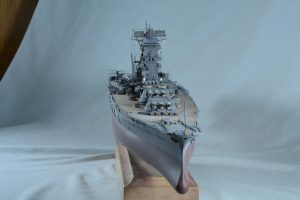 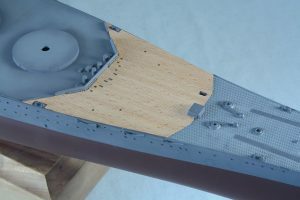 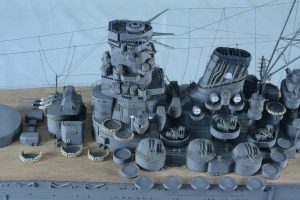 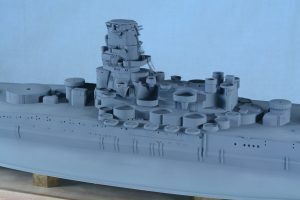 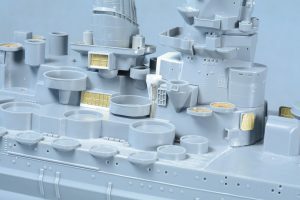 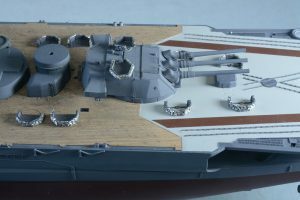 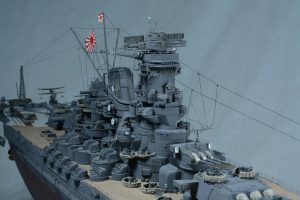 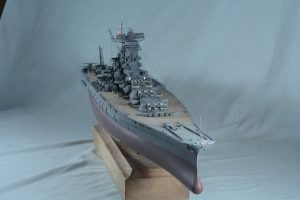 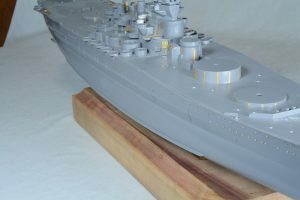 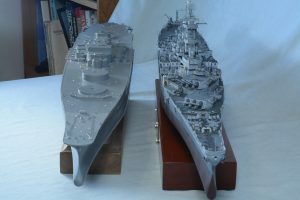 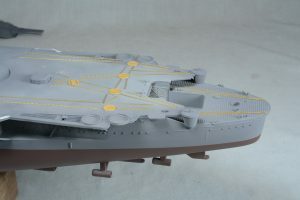 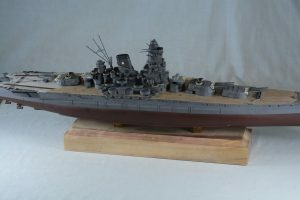 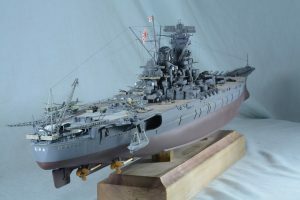 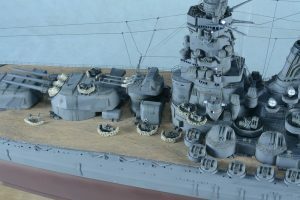 USS Missouri was my last project and placing Yamato beside her clearly shows she was an order of magnitude larger than Missouri, the head on shots capture pretty good the width of the deck and that gentle upswept curve on the deck. 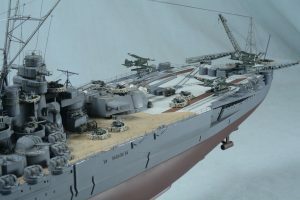 She seemed to be purposely void of a lot of clutter on the deck compared to the allied ships. 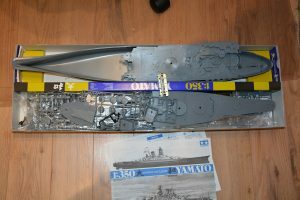 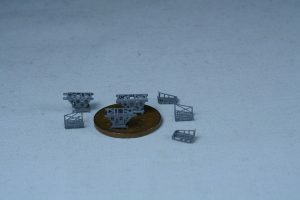 The larger the ship the more assembly line work is required, thought I'd never get all the triple 25 mm AA guns finished, that to me is the only down side to doing the large capital ships! 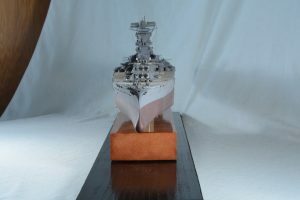 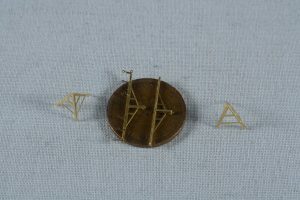 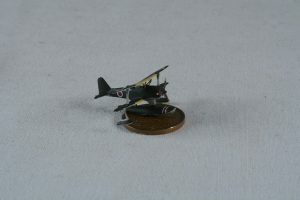 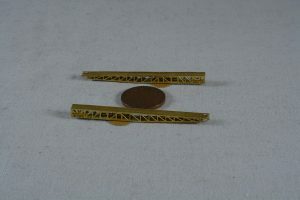 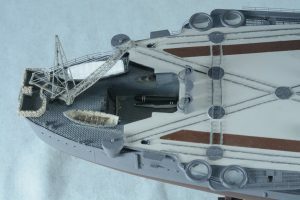 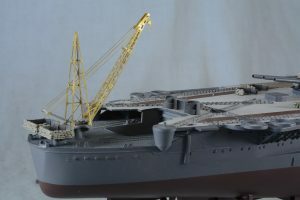 She's done now, under glass and on a shelf in the living room, working now on USS Monitor and CSS Virginia in 1/350.